Oil prices fell fast on Friday afternoon after Saudi Arabia claimed that "doesn't expect any decision" next week at OPEC’s unofficial meeting in Algiers. 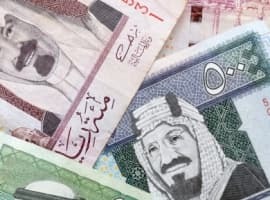 Saudi Arabia offers to curb output if Iran accepts ceiling. 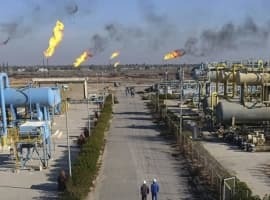 The latest news on the Algeria meeting set to take place this weekend and into the early part of next week is that Saudi Arabia reportedly sent an offer to Iran, proposing a cut to its output if Iran agreed to limit production at its current level of 3.6 million barrels per day. "They (the Saudis) are ready for a cut but Iran has to agree to freeze," a source told Reuters. Discussion took place in Vienna at OPEC headquarters this past week, but so far reports suggest there has been no agreement. Bloomberg surveyed oil analysts and 21 out of 23 respondents said that there would be no agreement in Algeria. Meanwhile, rising output in Nigeria and Libya make the production freeze negotiations look even less important. Several hundred thousand barrels per day from the two troubled OPEC members would more than outweigh any effect from an output cap. Russia invests in brownfields, expects output to climb. The FT published a must-read article on Russia’s campaign to boost oil production from aging oil fields in Siberia. Ramping up drilling in existing brownfield sites, as opposed to drilling in frontier regions like the Arctic, is a shift of focus for Russia’s oil industry. 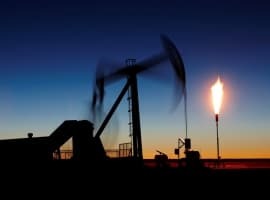 But the more aggressive approach to maintaining and even increasing oil flows from some of Russia’s old but still massive oil fields could allow it to increase output in the next few years, defying expectations of steady declines. Rosneft will more than double its drilling rate from 750 wells in 2014 to 1,700 per year beginning in 2017. It is also improving its drilling techniques, incorporating fracking and horizontal drilling. But the quest also raises questions about the wisdom of elevating production at all costs, which could damage long-term output. In any event, Russia’s need for tax revenue has it going down this path, but that could also make it difficult for Russia to sign on to any OPEC production freeze agreement. SEC investigating ExxonMobil. The probe into ExxonMobil’s (NYSE: XOM) accounting practices is widening, and federal regulators from the SEC are now looking into the oil major to see if it is guilty of any wrongdoing. Exxon dismisses the investigation as politically-motivated, but the SEC inquiry mirrors investigations underway by several Attorneys General led by New York AG Eric Schneiderman. The question is whether or not Exxon is defrauding its investors by overstating the value of its assets. Exxon is probably not too worried about the direct investigation itself, but the probe illustrates the dangerous future for the oil major: governments and regulators are taking serious the possibility that the oil industry will be unable to produce all of the oil and gas reserves on their books, whether because of peak demand or because climate regulation will prohibit them from drilling. China’s renewables installations to fall next year. Bloomberg New Energy Finance predicts that China’s pace of solar and wind installations will decline by 11 percent next year, which could be the first decline in the history of the business. To be fair, installations will fall to 41.8 GW from a peak of more than 46.9 GW this year, both of which are staggering figures. But China’s central government is looking at paring back subsidies for renewables as the economy slows. China’s demand for renewables, which is still the largest in the world, will have an enormous impact on the global solar and wind industries. Colonial pipeline restarts. The main gasoline line of the Colonial Pipeline has restarted, which should ease the sudden shortage of gasoline in the U.S. southeast. The pipeline suffered a leak two weeks ago, and the outage led to a spike in prices at the pump for the east coast and southeast. Donald Trump promises to revive coal and eliminate regulations and taxes on the energy industry. The Republican nominee said he will unleash “a treasure trove” of coal, oil and natural gas by cutting regulations and taxes. "You will like me so much," Trump told natural gas executives at the Shale Insight 2016 conference in Pittsburgh on Thursday. His comments were characteristically short on details, but he did say he would cut corporate taxes to 15 percent and restrict the efforts of the EPA. Exxon considers selling $1 billion in Norway assets. Bloomberg says that the oil major has had discussions on selling Norwegian oil fields that produce around 65,000 barrels per day, but the company has declined to confirm the news reports. Expert Commentary: Is There Still Hope For An OPEC Deal?